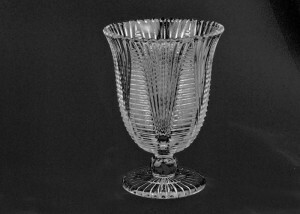 Percival & Yates of the British and Foreign Flint Glass Works, Jersey St, Manchester, registered one of the first Manchester designs in 1847. The firm was established in 1844 and was first known as Percival & Yates Glass Manufacturers. When the firm was well established, a Mr. Vickers joined, and the firm became known as Percival Yates & Vickers. 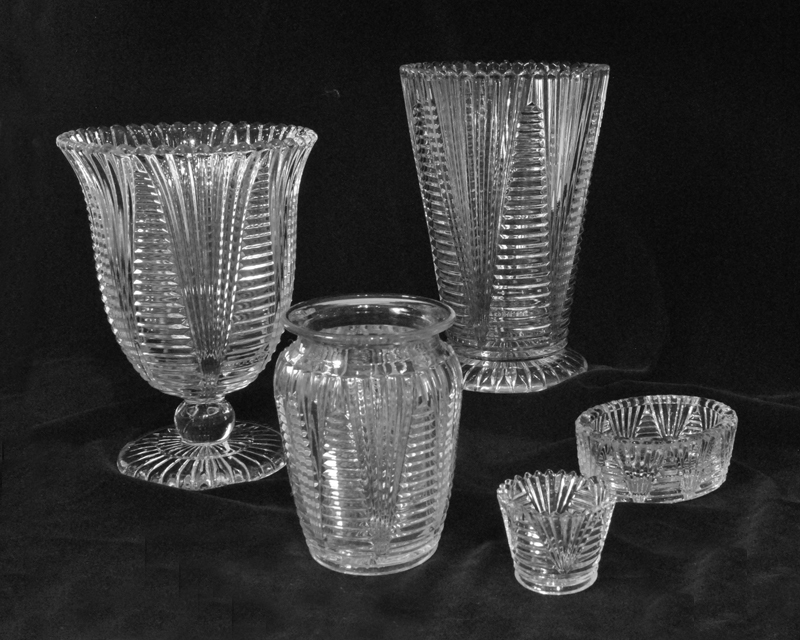 Some time in the 1870s Yates left, and the firm then became known as Percival Vickers & Co Ltd.
Little is known about the factory, except for a few pattern sheets. 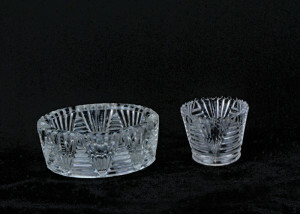 The firm concentrated on general tableware, and produced many attractive designs, including the horizontal and vertical mitres pattern, and designs with clear patterns on a frosted background. The firm ceased trading in 1914. 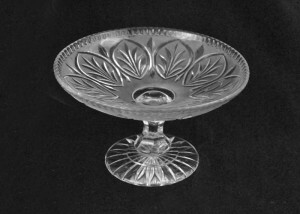 Comport, frosted with a leaf pattern. Diamond mark 7th March 1868. 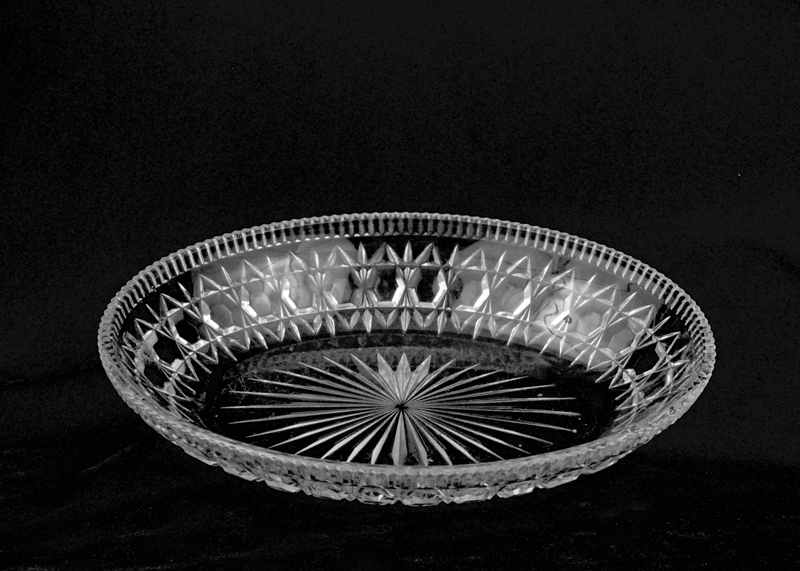 Large round bowl Diamond mark, 1st March 1878. 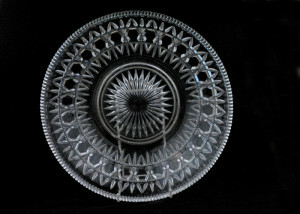 Large oval dish, also in 2 smaller sizes, and large circular size. 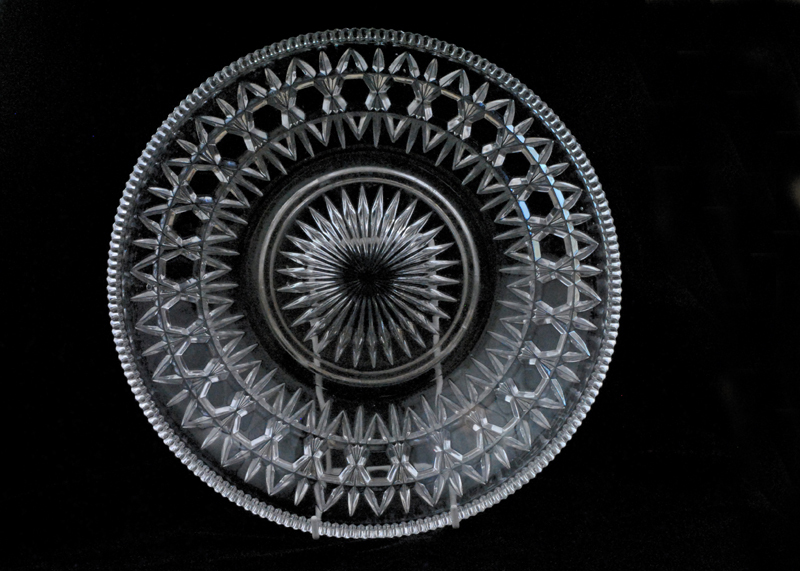 Diamond mark, 1st March 1878. 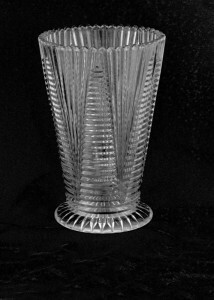 Celery vase, with horizontal and vertical mitres pattern. Rd 168130 13th March 1891. 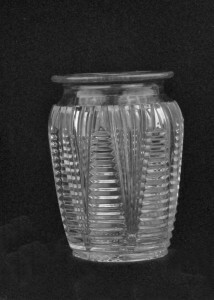 Vase, with horizontal and vertical mitres pattern. Rd 168130 13th March 1891. 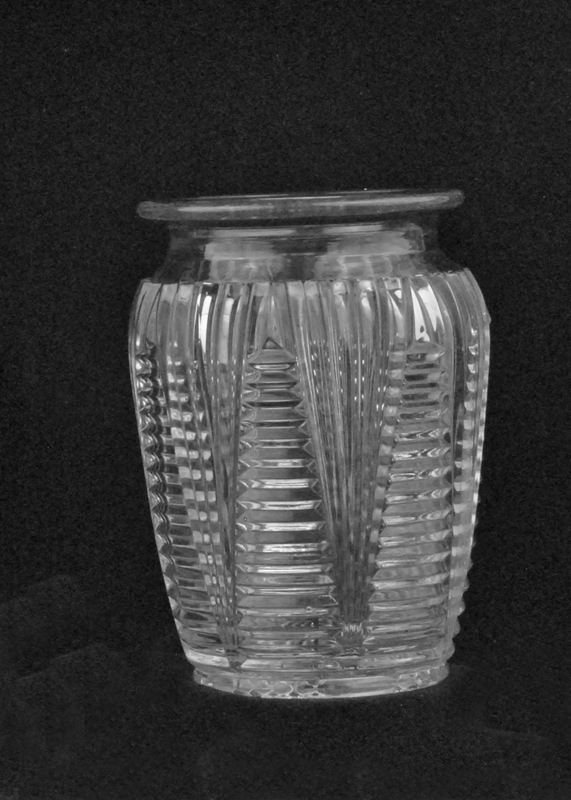 Vase (or jam pot), with horizontal and vertical mitres pattern. Rd 168130 13th March 1891. 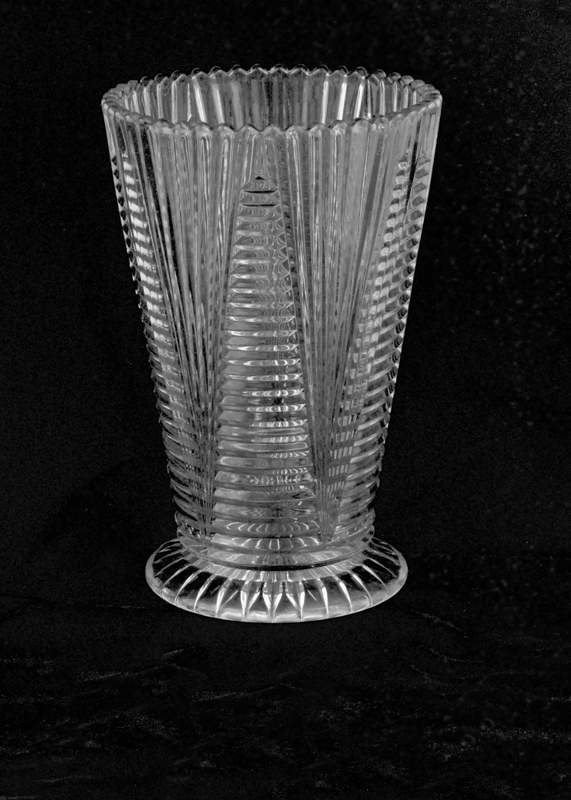 Salts horizontal and vertical mitres pattern, Rd 168130 18th March 1891. 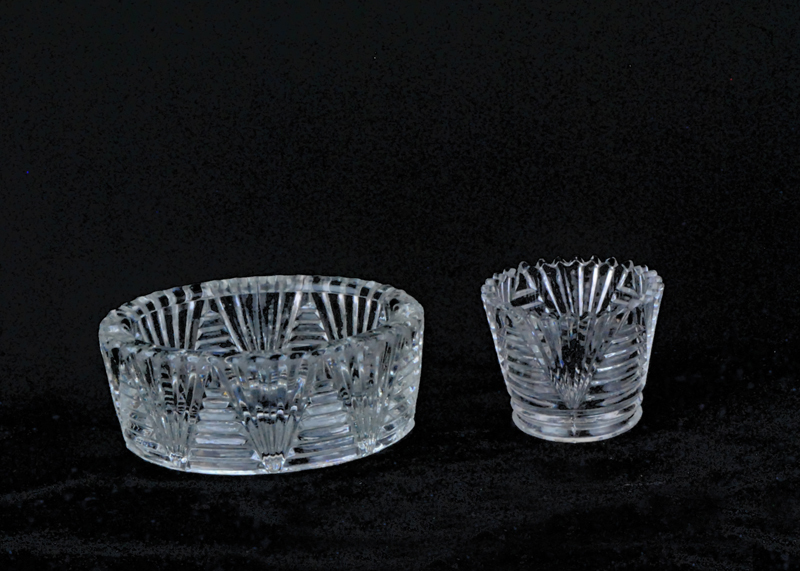 Horizontal and vertical mitres pattern family. Rd 168130 18th March 1891.